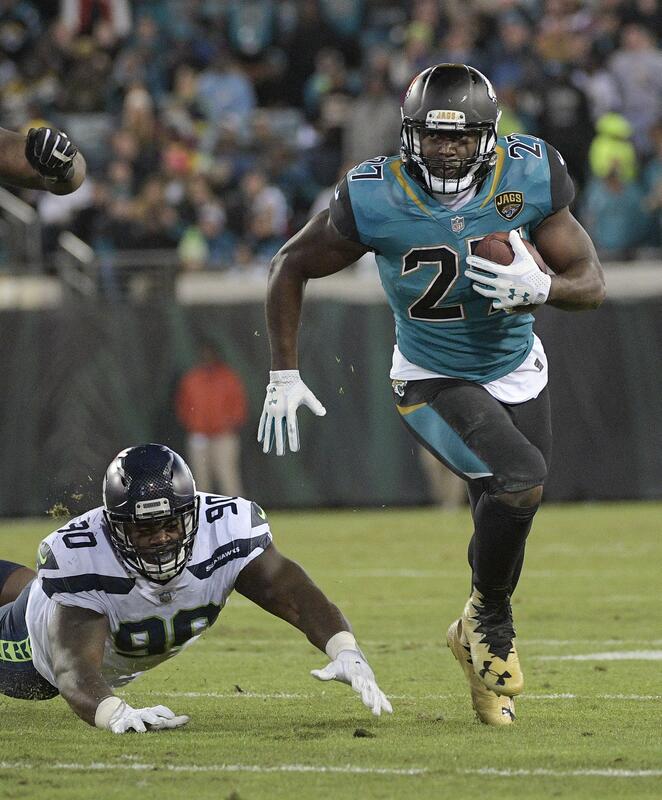 JACKSONVILLE, Fla. – Jacksonville Jaguars running back Leonard Fournette expects to play Sunday against Houston despite missing two days of practice. Fournette injured his right quadriceps muscle in the third quarter against the Seahawks last Sunday when safety Earl Thomas hit him near the sideline. Fournette did not practice Wednesday or Thursday, but says he’s just being cautious. Fournette, who has 923 yards rushing and eight touchdowns, needs 77 more yards over the final three games to become the second rookie in franchise history to record 1,000 yards on the ground. Fred Taylor accomplished the feat in 1998, finishing with 1,223 yards rushing. Published: Dec. 14, 2017, 8:57 p.m.